Hi, I am Joe Sevart, owner and operator of I-70 Auto Service. We are a full service automotive repair shop located in Kansas City, MO just one mile west of Arrowhead Stadium. This year we are celebrating our 41 year anniversary. Since opening in 1976 we have committed ourselves to providing our customers with a service they can trust. 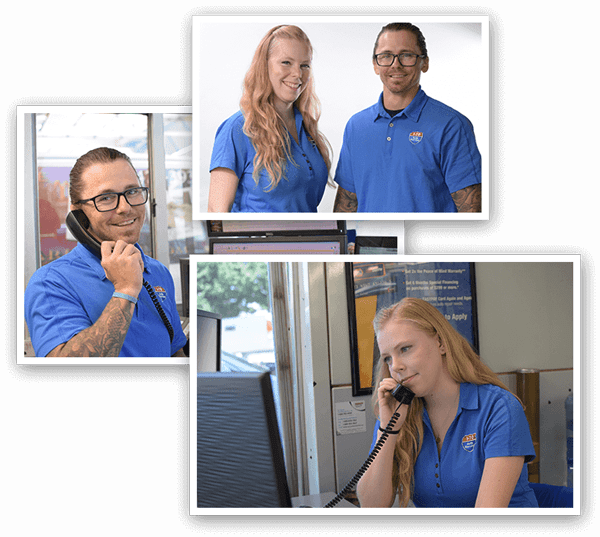 I-70 Auto Service is a AAA Approved NAPA Auto Care Center, we are able to provide the benefits of an established national entity while maintaining the personal touch of a family owned business. We understand that your vehicle is a major investment and that is why we care for each customer's vehicle as if it were our own. We complete most repairs on the same day scheduled, and do our best to get you back on the road when unexpected breakdowns occur. Our award winning facility is equipped with the most advanced diagnostic equipment and our technicians use the latest technology in automotive repair. Our commitment is for you to have a stress free experience as we manage your car care needs. I-70 Auto Service is your one-stop shop; from computer re-programming to oil changes, we will meet your needs. We are environmentally friendly; heating our shop with waste oil and using recycled products. Offers the nationwide 24 month or 24,000 miles NAPA Peace of Mind warranty. Family-owned and serving Kansas City since 1976. Upon request, we can provide free pick and delivery of your vehicle. Ability to schedule your appointments on-line.